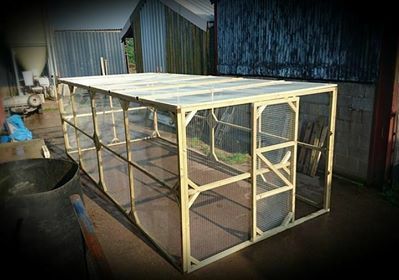 Made by Wynne’s of Dinmore with pressure treated timber frames and strong galvanised wire mesh. 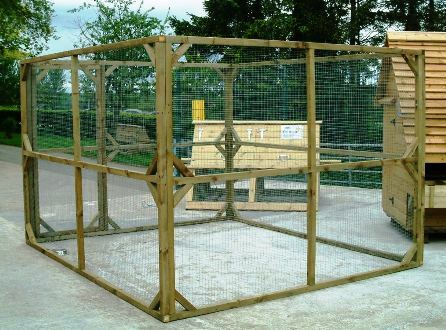 A very practical multi-purpose run/enclosure which can be dismantled, moved and re-built. 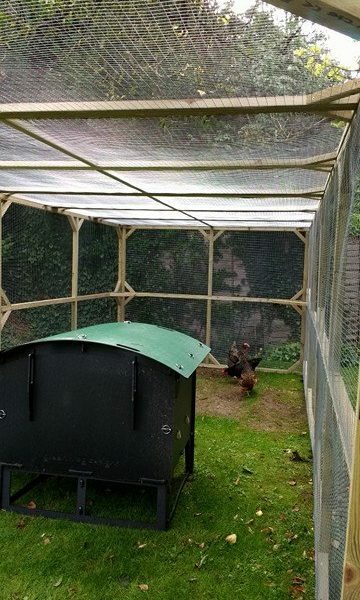 Can also be used to keep animals/birds in or unwanted visitors out! DIMENSIONS: 3m L x 2.5m W Height 1.83 metres. 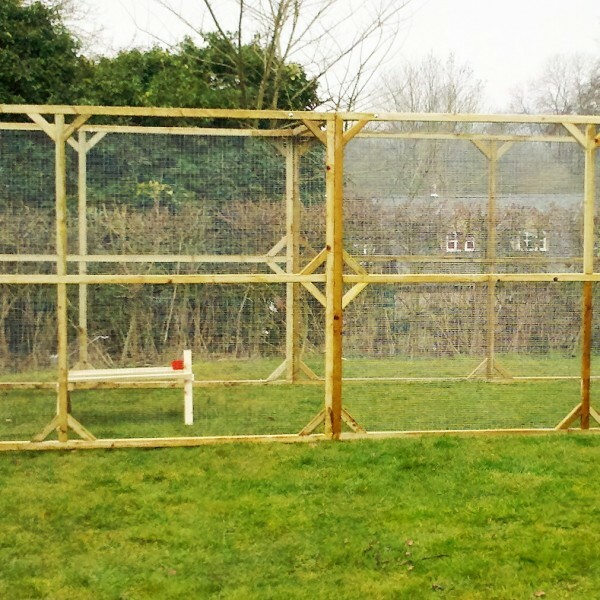 DIMENSIONS: 6m L x 2.5m W Height 1.83 metres. 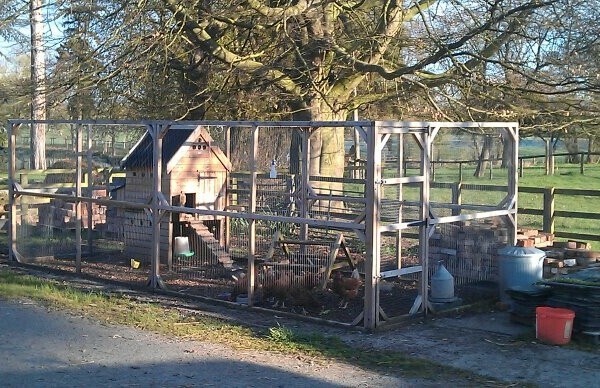 It is the ideal with any poultry house or dog kennel. ROOFING OPTIONS: – for extra security.